When most people hear the words “bath salts,” they think of just that: salts that dissolve in your bath tub and can be purchased from bath and body stores. Somehow, the words “bath salts” have now come to mean something entirely different to adolescents. Bath salts now refer to a synthetic drug, often sold over the counter in convenience stores and gas stations to young children. 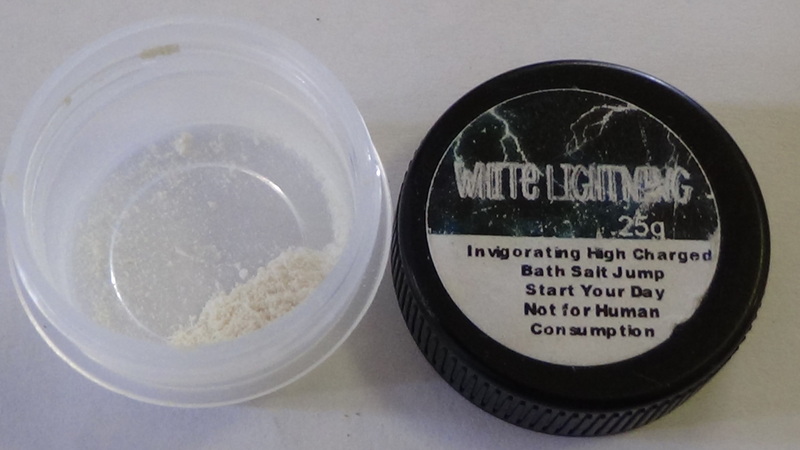 The Drug Enforcement Administration compares bath salts to a combination of cocaine and LSD. Bath salts can be snorted, smoked, and injected. People who have ingested bath salts often end up in the emergency room. Sometimes due to chest pains so intense they believe they are having a heart attack. Other times, people end up in the emergency room because they experience some sort of psychotic break and suffer severe hallucinations, causing them to engage in dangerous activities that land them in the hospital for critical care. Bath salts can also result in paranoia, severe anger and agitation, increased blood pressure and pulse, and suicidal thoughts. Some of these symptoms can persist over time, leaving users experiencing them for months after their last use of bath salts. To be clear, this new synthetic drug called bath salts has no relationship with actual bath salts. The drug has been marketed as ‘bath salts’ in an effort to avoid being pulled from the market, and to avoid being labeled illegal. A major problem with this new synthetic drug is that there is absolutely no way to test for it. The DEA has an idea of what ingredients are in bath salts, but there’s no way for them to be certain, thus leaving them with no way to test anyone for the presence of this drug. The only way that one can know if someone has ingested bath salts is if the user admits it. This can cause problems when younger children and teenagers end up in the hospital due to adverse side effects from bath salts. These adolescents are often afraid to tell their parents they were using drugs, even one that may be considered legal. Therefore, doctors often have a very difficult time discerning the cause of their patients’ symptoms. All over the country, poison control centers are receiving phone calls and emergency rooms are often filling up due to this scary new drug. From January through June 2011, poison control centers received close to 3,500 phone calls regarding people who had taken bath salts and were having severe negative reactions from them. Bath salts users can die from overdose, heart attack and sometimes even suicide (as a side effect from their hallucinations). While this ban will help get bath salts off the streets and out of gas stations where they are easily accessible, it will be difficult to keep bath salts from being sold over the internet. Hopefully, the ban of bath salts will help people realize the extreme dangers of this drug and will reduce the use of this new drug. The use of bath salts doesn’t just end in addiction and people being sent to treatment centers. This drug often ends in death or committal into psychiatric hospitals. Users can become severely paranoid and extremely psychotic. Knowing all of these facts, it’s astonishing that people are still actively looking for this drug. If you need help, or know of someone who does, please call Pat Moore Foundation NOW for help. We are available 24 hours at (888) 426-6086. Bath Salt Drug Abuse Infographic - easy shareable guide on the need to know facts about this new designer drug.